Companies with a long history of high growth & better returns. Buy and forget for 10 years! 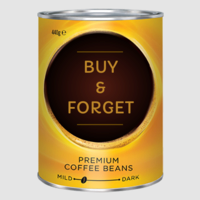 The Coffee Can Portfolio investment approach helps you rise above the market volatility and noise by investing for a long-term horizon of at least 10 years. It also helps save on transaction costs as there is no rebalancing done once the stocks are bought. Revenue growth creates shareholder value, only if return on capital employed (ROCE) remains high. Hence, it is a very important metric in assessing a firm’s performance. This smallcase selects companies whose revenue has grown by at least 10% every year and ROCE was at least 15% for each of the last 10 years. The idea of a Coffee Can Portfolio was introduced by Robert Kirby. The concept was derived from the early nineteenth century, when people put their valuable possessions, like money and jewellery, in a coffee can and kept it under the mattress for safe keeping.